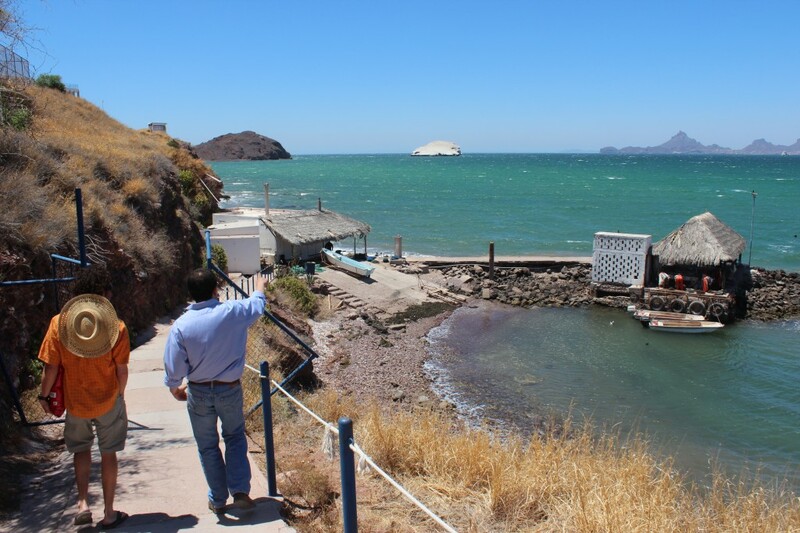 On the 18th of April we traveled to the first commercial pearl oyster farm in North America, located in Guaymas, and there I got the opportunity to hear Enrique Arizmendi, one of the founding partners, describe how it came to be. Having very little interest in jewelry, I must admit that I came to the oyster farm a bit apathetic. Why should I care about overpriced pieces of calcium carbonate? 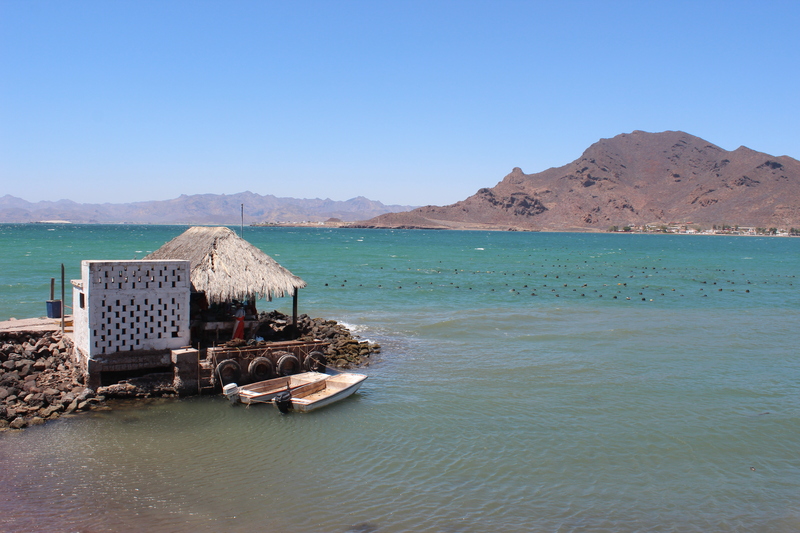 Firstly, as we have learned on several instances on the trip, pearls have much historical and cultural importance in the Gulf of California. The Spaniards first came to Sonora in the 1600’s, attracted by the pearls the native Seri and Yaqui Indians possessed. While this spurred trade and development in the area, it also later turned into the enslavement of natives for pearl diving. More than a century later, the oyster beds dry up, and today’s pearl market is largely dominated by Japan and China. 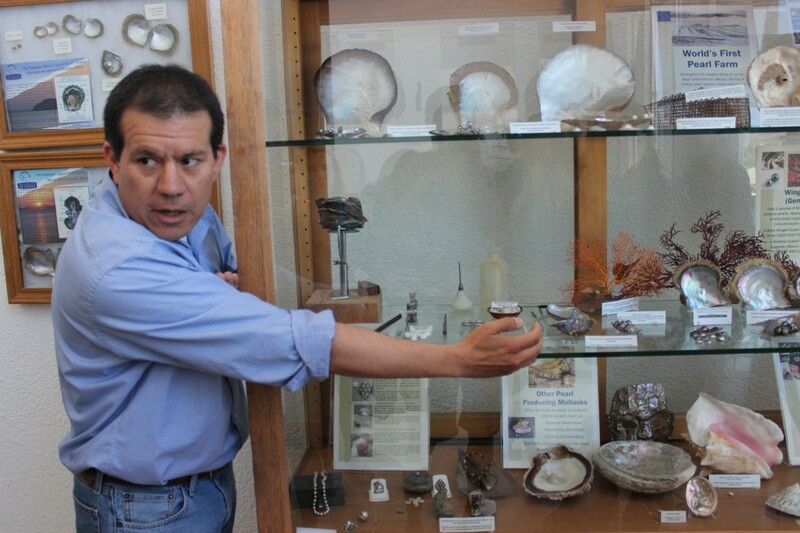 Enrique began studying pearl oysters as part of master’s project. Very quickly, he started toying with the idea of restoring regional pearl oysters to their former glory. While it soon became clear that cultivation would not be as easy as he had thought or make him rich very quickly, he stubbornly stuck with this endeavor and continued to develop and adapt new techniques. Today he is working with a one hectare oyster farm just off the coast of his former university. 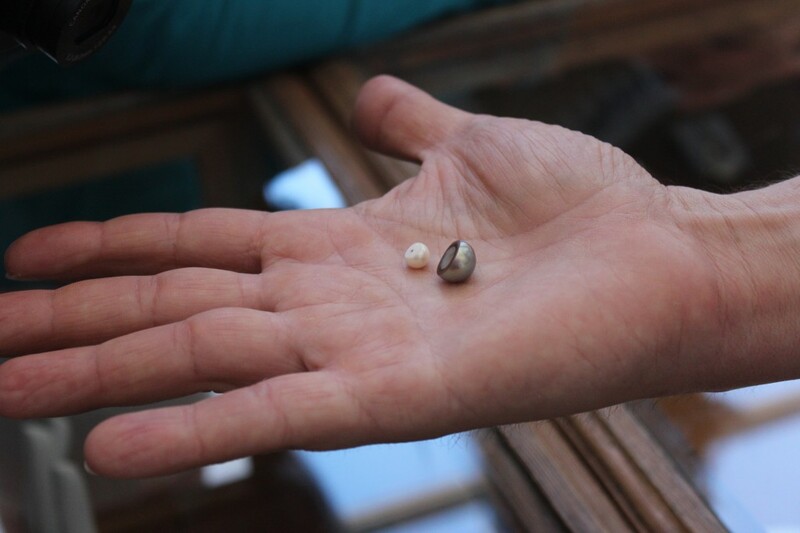 Operations are small scale and profits inconsistent, but the oyster farm has proven that the native Black-Lipped Pearl oyster (Pinctada mazalanica) and the unusual Rainbow Lipped Pearl Oyster (Pteria sterna) are viable options for cultivation in the region and can be produced at a high quality. They have received praise from the international community and are represented at gem shows around the world. 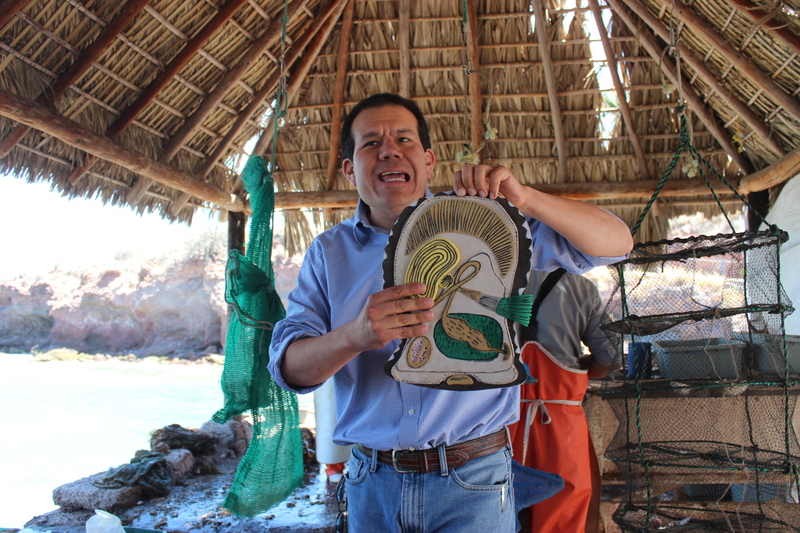 Ultimately, Enrique and his partners have become a source of pride for the community and put the Gulf of California on the global radar for pearl oyster farming. 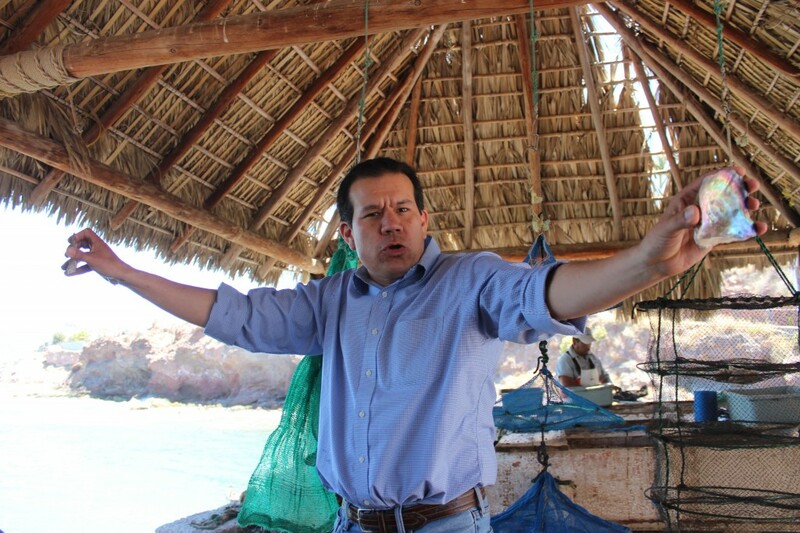 Enrique spent most our visit describing to us the step by step underlying principles behind oyster farming. I found this process interesting, but something else left a much more lasting impression on me: Enrique’s commitment and apparent obsession with this “project” he started as a student. He has probably presented the farming process to tour groups numerous times – certainly a very elementary subject for him – , but he speaks in such an ardent way that there is no mistake that it is still fresh and interesting to him. I was entranced by how much I wanted that for myself. His whole journey has long been a fantasy of my own: to turn a science grounded passion into career that I can sustain myself with and a project personal enough to call my own. Enrique is still a biologist at heart; I hope I can say the same many years down the road.